Access a Drum Machine from your Browser #MusicMonday « Adafruit Industries – Makers, hackers, artists, designers and engineers! This is either the future of collaborative music making or the Single Greatest Way To Make Music While Pretending To Do Other Work I’ve ever seen. 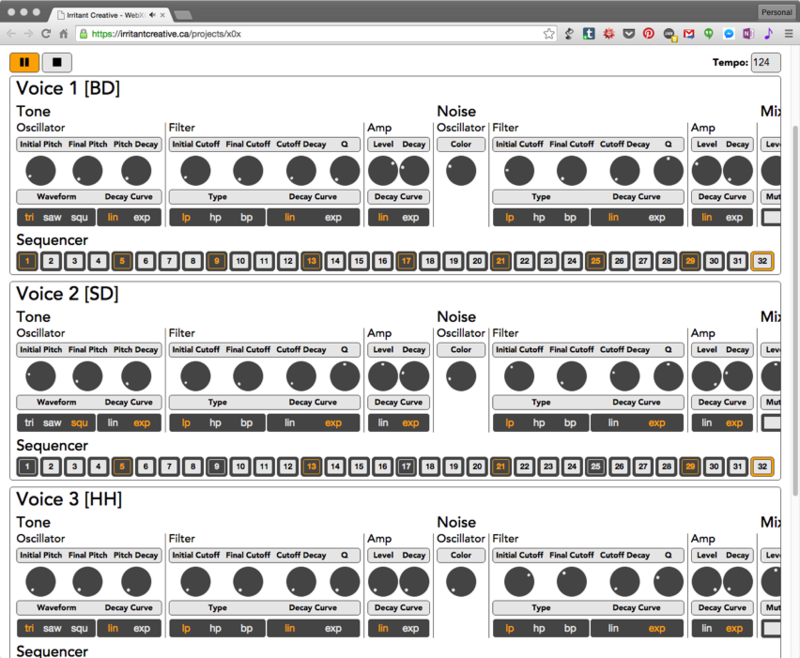 But, as a new effort works on sharing music scores in the browser, it’s worth checking up on the Web Audio API – the stuff that makes interactive sound possible – and connections to hardware via MIDI. And there’s a lot going on, the sort of fertile conversation that could lead to new things.